Salmon is the foundation for both livelihoods and a way of life in Alaska's Bristol Bay. Each year, some of the largest wild salmon runs—including the largest sockeye run in the world—swim through the bay and upstream. Tens of millions of wild sockeye, chinook, coho, pink, and chum salmon depart the watershed for their adult life stage in the Pacific Ocean and return through the North Aleutian Basin and Bristol Bay to spawn. The productivity of these runs is remarkable even by Alaska's high standards. 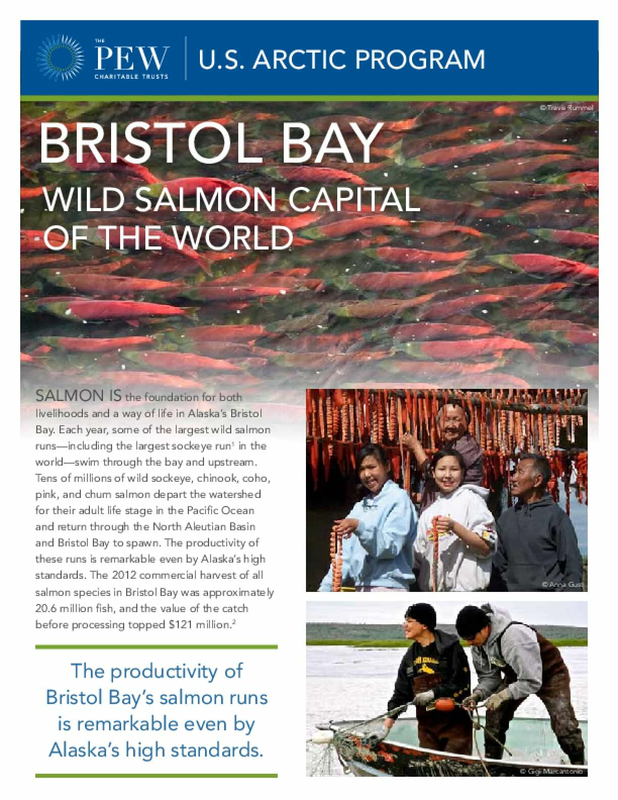 The 2012 commercial harvest of all salmon species in Bristol Bay was approximately 20.6 million fish, and the value of the catch before processing topped $121 million.